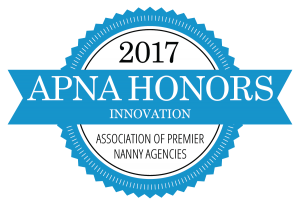 On October 21, 2017 TLC for Kids was honored by the Association of Premier Nanny Agencies with their APNA Honors Award for Innovation in our industry. This award is given to an individual or agency that tries something new which enhances their business, increases revenues and incites change or advancement within the industry as a whole. For over 32 years, TLC has been a leading innovator in the in-home child care industry. In 1985, using her thesis in college exploring women in leadership as a starting point, Sharon Graff launched one of the the first back-up child care care services in the US. She used the Kelly Girl model to develop an infrastructure to make emergency and sick care available for working mothers. Within 2 weeks of opening TLC For Kids, at age 22, Sharon appeared on the local CBS Morning news discussing the “Superwoman Myth” – TLC offered a solution to the child care dilemma. Not only could TLC find a nanny for your family but we could also fill in when your regular care arrangement fell through or when your child was ill. The phone started ringing off the hook. TLC For Kids became one of the first nanny and babysitting agencies in the country and paved the way for an industry. The idea of fully screened on-call nannies and babysitters available around the clock was a revolutionary idea that would become common place in nanny agencies as the industry was born and began to mature. From that moment TLC would become a national model for temporary services in our industry. In 1988 Sharon joined the International Nanny Association which had just started uniting nanny agencies, educators, and nannies toward the goal of professionalizing the industry. Recognizing the importance of having the representation of an Industry Association, Sharon and some of her counterparts worked tirelessly to develop the INA into what it is today, a reputable, well-known and trustworthy resource for agencies, nannies, educators and families alike. In 1987, Sharon’s sister Stephanie joined TLC full time and together with the help of their dynamic staff continued to innovate. TLC created a state funded training program for in-home child care providers. This program ran for many years and was well attended. In 1994, TLC was one of the first in the in-home child care industry to develop training for nannies who wanted to support postpartum mothers and their infants. TLC shares this program through workshops and materials, and it subsequently became an area of growth for all in the industry who participated in it. Around this time TLC also developed the first industry-specific software package that was designed to manage the unique needs of our industry including the management of applicants in process, scheduling temporary services, creating professional caregiver profiles, and automating many repetitive but required tasks. During this time, TLC also began offering consulting services to start-up nanny and child care agencies, and has now has consulted with hundreds of agencies throughout North America. Sharon was part of the team who presented the New Agency Workshop for over 5 years. 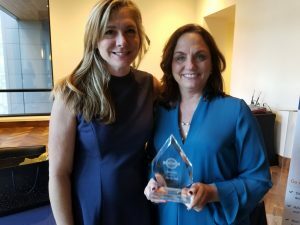 Her goal was to raise the bar for quality and promote best practices for those entering the industry in order to ensure a better perception and reputation for the entire industry. In 1996, Sharon joined the Board of Directors for the International Nanny Association where she would serve for 16 years in many capacities, helping to develop and set those standards and guidelines to develop both the professional practices and perceptions of the home child care industry to the public at large. A large part of her role with the INA was innovation. As chairperson of website committee and public relations committee, Sharon helped bring nannies as a respected profession into the fabric of American culture. At the first APNA conference in 1996, a very pregnant Sharon provided a workshop to the newly formed APNA members and participants about temporary services. Over the past 32 years Sharon, Angela, Stephanie and the rest of the TLC team shared their business practices and innovative growth with many industry counterparts through workshops at APNA and INA as well as submitting articles in the INA Newsletter. It is for all of the above reasons that TLC should be recognized as a long-running and persistent innovator in the child-care space, as well as its past and ongoing contributions to the health and reputation of the industry as a whole. Children need to be taught the proper way how to care for their teeth as soon as their teeth begin to develop – and if you start them on the habit early, they’ll have good dental hygiene as an adult. You’ll have to carefully brush a baby’s teeth with a soft brush and don’t use any toothpaste until your child is aware that the toothpaste shouldn’t be swallowed. For most children, that awareness is around the age of two. By this age, under adult supervision, children should be in the habit of brushing their teeth – and if you make it fun, children will want to brush their teeth. By the time a child reaches kindergarten age, he should be able to brush his teeth without adult supervision. Children should avoid sugary snacks like lollipops that coat the teeth with sugar for long periods of time – and they should also avoid high sugar beverages that can damage the tooth enamel. Though it’s a fairly common practice, discourage your child from thumb sucking, which can lead to buck teeth and poor tooth alignment. Teach your child to keep his fingers out of his mouth, since this is one of the main ways that kids pick up germs. If your child is very young, to help him understand and get into the habit of taking care of his teeth, use a colorful chart to teach about good oral hygiene. You can use a blank calendar that has squares for every day of the week and let him put a check mark in the box every time he brushes his teeth. Kids should learn about flossing as soon as they’re able to hold the floss and should floss every single day. 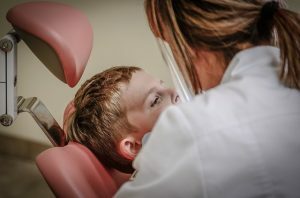 Regular dental visits should be begin as soon as your child starts to have teeth, because regular visits can catch small problems before they become big problems. Children should brush at least twice a day using fluoride toothpaste. If your child isn’t old enough yet, and you need to brush for him, brush the outside of the teeth first from the back to the front and then switch to the back of the teeth. Make sure you brush the tongue as well. Your child’s toothbrush should be changed regularly – every twelve weeks – or sooner, if the bristles are damaged. Also, your child’s toothbrush should be changed after every illness because the bristles can house the germs that caused the infection. Don’t store toothbrushes in covered containers, since this provides a breeding ground for germs. Cold and Flu season is upon us. Make sure you’ve stocked up on all the essentials – cold medicine, thermometer, throat drops, tea, and get your flu shot. Another item to cross off your list should be to contact TLC and be registered for our backup care. Be prepared when the unexpected arrives. A reminder to caregivers, when doing a sick care job for TLC always follow the parent’s guidelines and remember to get permission in writing before giving any medicine. 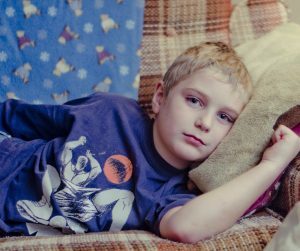 For more tips on treating sick kids you can read the entire article. It’s interesting to see that some things we may have been taught to do (or that we did as a kid) aren’t recommended anymore. Helping your child adjust to a new caregiver. Every child will receive care from someone other than their parents. It may be a nanny, babysitter, grandparent, daycare worker or teacher. Often times this situation can be difficult for both parent and child. TLC Family Care would like to share some tips to help you both through this new challenge. 1. Preparation. A few days before start talking to your child about what is going to happen. If possible take a look at the new setting and talk to your little one about what is going to happen during the day. If you have hired a new nanny have the nanny come over to play first before she starts work. 2. Communication. Tell the new nanny or caregiver all about your child. Share routines and likes and dislikes. You can also tell the nanny about recent events that might help build a relationship. 3. Transition objects. If possible let your little one keep something with them that will remind them of home. This can be comforting for your child. A transition object might be a blankie, favorite stuffed animal or a picture of mom or dad. 4. Play Games. For a younger child playing games like peek-a-boo and hide-n-seek help with separation anxiety. Kids learn that things continue to exist even if they are out of sight. It also helps teach children the idea of a reunion and that objects and parents do come back. 5. Aftermath. Finally be prepared that your child may react to the separation after the fact. This may come in regression in toilet training, temper tantrums, or low levels of frustration. Remain calm and talk to your child about their feelings and reassure them that everything is going to be OK. Let the nanny or caregiver know about these new feelings too. TLC’s nannies have experience working with kids and come ready to help make the transition a smooth one. Give us a call today to speak with one of our placement specialists and help you find the perfect caregiver for your family. TLC For Kids, Inc. has been St. Louis’ premier nanny and babysitting agency for over 30 years. TLC For Kids’ dedicated staff is ready to assist you in finding nannies, tutors, newborn care specialists, sitters and more. Reach us at tlc@tlcforkids.com or 314-725-5660.